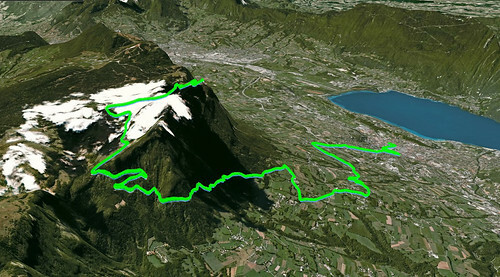 Although Mont Revard is only a little over 1500 metres high, the climb starts beside Lac du Bourget at just 250 metres - making for a big climb. 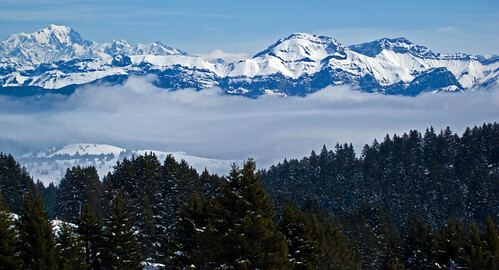 Although Mont Revard is only a little over 1500 metres high, the climb starts beside Lac du Bourget at just 250 metres – making for a big climb. I started in the ancient Roman thermal bath town of Aix-les-Bains, at the train station. I prefer this northern route to the southern route that starts in Chambéry. It’s just a little more interesting. 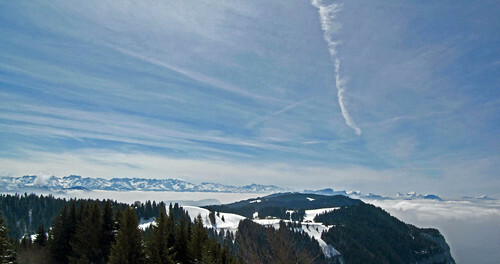 Click here for details of the Mont Revard south route from Chambéry. Mont Revard has appeared 3 times in the Tour de France (1965, 1972, 1991) – twice being a mountain top finish. In 1965, Felice Gimondi beat Poulidor to win an individual time trial. In 1972, with legs so sore he couldn’t walk, Cyrille Guimard beat Eddie Merckx to the top. The first couple of kilometres climb out of the centre-ville and it quickly becomes a fairly quiet road. The route winds up and around Mont Revard along the scenic D913. It’s rarely too steep but climbs for over 20 kilometres. 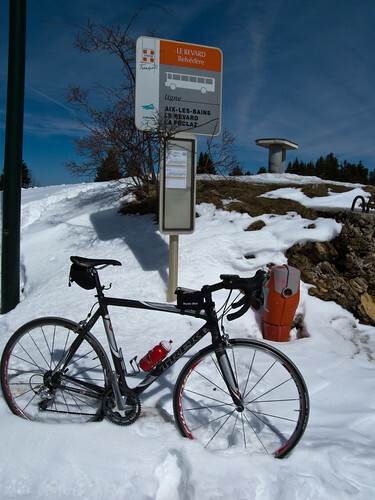 A little past half way, is the Col de la Cluse (no sign – but marked on google map below) before turning up to the small ski station at the very top. There is still plenty of snow around and the road was a little wet. But in general the conditions were OK for a road bike. As I approached the very top, with just a couple of hundred metres to go, suddenly impressive panoromic views in all directions appear. There is a very nice restaurant here, perched on the cliff, with the Lake directly below and the epic Mont du Chat across the way. A quick cup of hot coffee and then a long, cold descent. Bummer I missed this one : great views and long steady climb. Will, you certainly did not waste your day. Well done! Those new wheels you got? They look like Fulcrums at a glance. Jealous of your mountains still. Great pictures from up top! Ahh, I knew it was climbable! We went up to Le Revard (actually, La Féclaz) to cross country ski today, and as beautiful as it is (a dream for winter sports!! 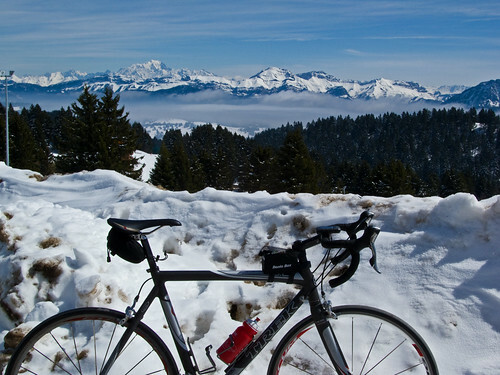 ), all I could think of is that I wanted to cycle up the climb… Hoping spring 2011 comes quickly! I think on a warm (dry) winter day, this might be a great climb !